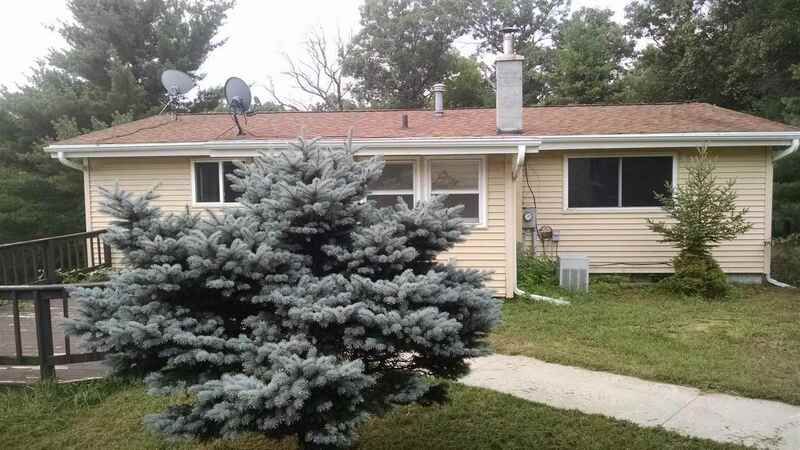 Enjoy beautiful views from your hilltop deck in this remodeled 3BR home. Property is tucked away and overlooks mixed woods. Large gathering area in lower level with walk-out doors and patio for your BBQ. Plenty of kitchen cabinetry and updated easy-care flooring. Paved driveway, 2 car garage and storage shed. Enjoy the peace and quiet of this beautiful setting as you watch the deer, turkeys and a variety of birds. Fishing lake is within minutes from home. This would make a great family vacation spot or permanent homestead to enjoy all Wisconsin seasons.